These additional resources that we have culled from around the web are meant to enhance the NLE Morasha Syllabus class entitled, Honoring Parents. We are certain that these resources can help you further impact your audience! If you know of any additional resources that we should add on to this page, please let us know by contacting us here. The Torah obligation to honor our parents includes two basic aspects: honor and reverence. Out of 613 mitzvos, this is one of the two that carry with it a longevity incentive. If I honor my parents I will live long. In Mamrim 6:1, Maimonides writes, “Honoring one’s father and mother is a ‘Great Positive Command’, as is fearing them.” In Yesodei HaTorah, 2:1, defining the law of fearing God, Maimonides simply writes, “This honored and feared God, it is a command to love and fear Him.” No mention of the term “positive” command, or of the term “great”. Why is the language of a “Great Positive Command” reserved exclusively for parents – absent in connection with the command of our fear of God? The fifth commandment, which is part of the ‘man and G-d’ section is ‘honor your parents’. It would have seemed that this command is purely one that helps develop our relationship with our fellow man and has little direct relevance to improving our relationship with G-d. However, on deeper analysis it is clear that keeping this command properly will greatly enhance our relationship with G-d.
Respecting parents in all its details is a formidable task. It is not for nothing that this mitzvah is termed “the stringent of the stringent” (Midrash Tanchuma, Eikev 2). Sometimes our parents act in such unpleasant and abusive ways that we begin to wonder if the Torah still expects us to honor them and treat them with respect and reverence. The Torah places great emphasis on the commandment to honor and fear one’s parents. The commandment is among the Ten Commandments, which seems to imply that it is of integral importance and defines the Jewish people. This prompts the question; what makes this commandment more important than others. The sages teach that God placed the honor of one’s parents even before His own honor. A frequently quoted Talmudic passage regarding the extent to which one is obligated to honor even an abusive parent is the story in Kiddushin (31a) where a Roman officer (Dommah Ben Nesinah) is praised for maintaining his composure even after his mother tore his clothes off and spit in his face in public. It is unfortunate that this Gemara is cited as evidence that a child is required to passively submit to chronic abuse by a parent (who is not meturefes b’daata) in the name of kibbud av va’eim! Many question the placement of the commandment to honor parents in the first half of the asseret hadibrot. Assuming the dibrot divide evenly between commandments between man and God and interpersonal mitzvot, why does honoring parents appear in the first category? The fourth Mitzvo is to remember the Shabbos , and the fifth is honoring one’s parents . This juxtaposition may not seem to be of great significance, however, this is not the only time in the Torah that these two seemingly unrelated Mitzvos are juxtaposed. By the Mitzva of Shiluach HaKen the torah tells us (Ki Seitzei 22:7), “L’maan Yitav Lach V’Haarachta Yamim”, in order that it will be good for you and you will live a long life. By Kibud Av V’Eim in the second Dibros (VaEschanan 5:17), the torah promises the same reward that we don’t find anywhere except for these two mitzvos. What is the commonality between them? We left off last week with the beraita that listed the obligations incumbent upon a child due to the mitzvot of mora and kibbud av va-em. We resume with the gemara’s analysis of these obligations. The Mitzvah of Kibud Av va-Em (the precept to honor father and mother) may be a self-evidently rational, ethical principle. But the Talmud refers to it as the most difficult Mitzvah. The fourth commandment: Honor your father and mother, what does it say and what does it leave unsaid? It is well known that the Mitzvot to honor and to fear our parents are one of the most difficult to accomplish. The commandment of honoring parents, interestingly, appears among the first five. This comes to teach us that honoring parents is not merely an interpersonal duty incumbent upon children in their relationship with parents, but rather it is also a mitzvah which impacts upon man’s relationship with God. There are three partners in creating a person: the mother, father, and Hashem. If we honor our parents who created our finite bodies, then Hashem also considers it to be honoring Him, the Creator of our infinite souls. A story for children about honoring parents. 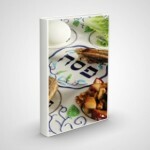 See the vort on honoring parents for children. There are certain mitzvos that all civilized people can understand and appreciate. One such mitzvah is that of honoring one’s father and mother. Our sages teach us that the Mitzvah of honoring parents is “Chamur Sh’bichamuros” the most difficult of the difficult! What exactly does that mean? This mitzvah actually includes both honoring and fearing your parents. What are the peramters of having to listen to your parents? What is the nature of Kibbud Av V’Em. How does the kavod we are supposed to show grandparents and stepparents related to the mitzvah of Kibbud Av V’Em. If you see the full extent of this mitzvah you will realize how difficult it is to fulfill what is expected of you.